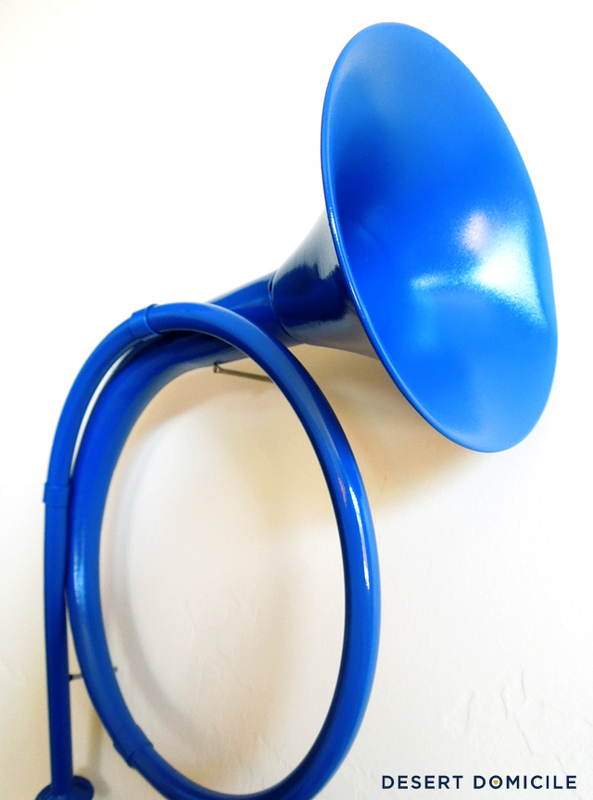 I mentioned how I planned on painting it blue as a nod to the blue French horn Ted stole for Robin in an episode of How I Met Your Mother and a lot of you seemed to be as excited about the idea as I was! Well guess what happened Wednesday night? 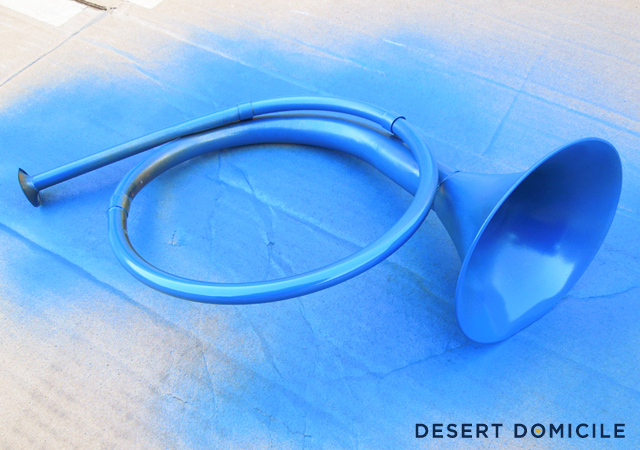 The French horn went from brass to blue! I'm not actually sure if it's going to end up hanging somewhere or if it'll be used as a decorative item in a vignette. 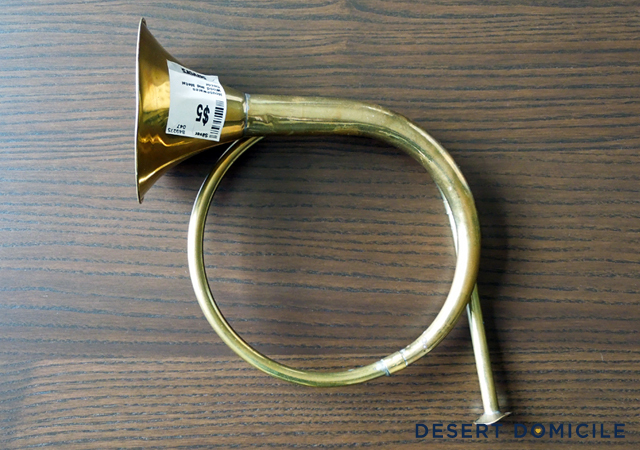 What would you do with the French horn if it was yours? I saw an episode of Junk Gypsy...they turned a horn into a light fixture!! I love it! I think I'd use it in a vignette like you said. Geesha - That sounds awesome! Amber - That's awesome that I picked the same color! I'm just happy I found one close enough since my other options were baby blue and navy haha And thanks! What you have is called a Trompe de Chasse. 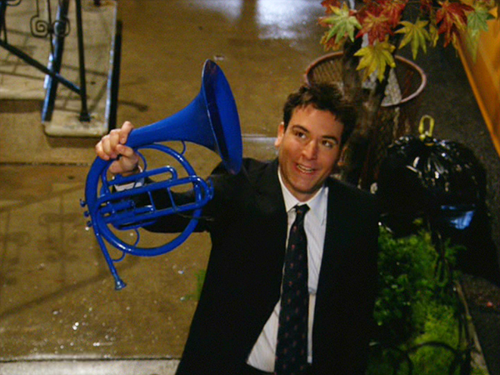 What Ted is holding is a French Horn. 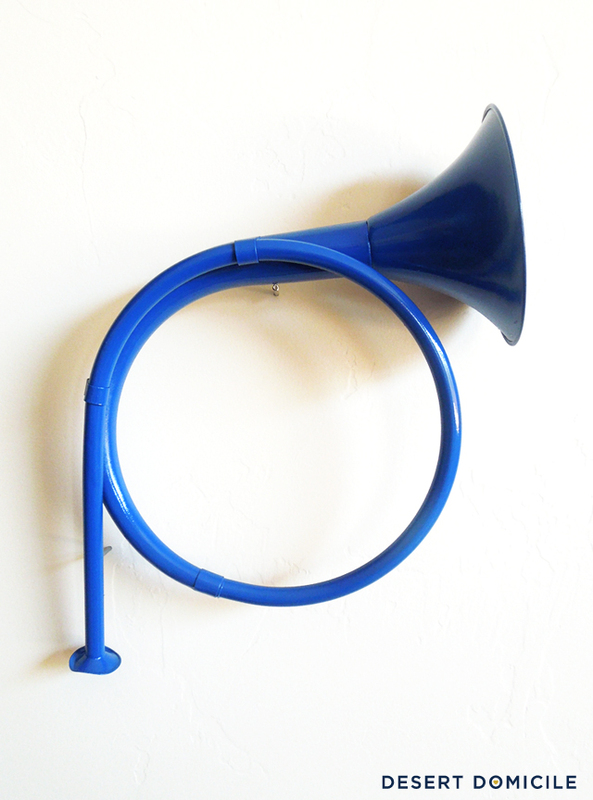 A mellophone looks more like a trumpet with extra tubing. Just thought you should know. 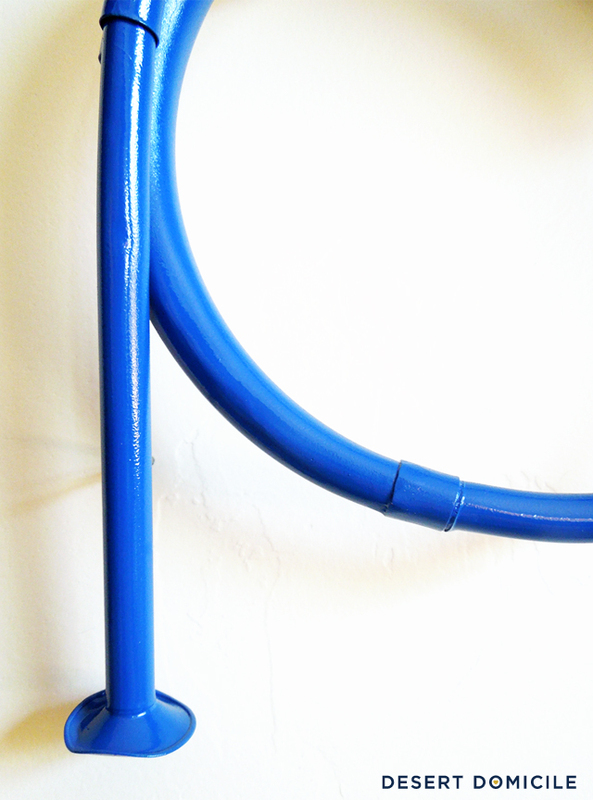 Definitely a cute idea to paint it blue! 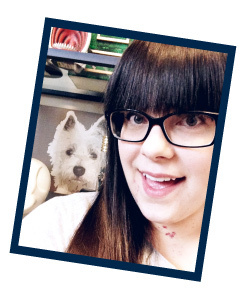 But I do love how it turned out! I was a music major in college and we are famous for turning old musical instruments into lamps, lol. Or putting plexiglass on top and making tables. With your horn....I would do one of those encased frames and put it inside. I might would put some old, yellowed sheets of music and other things with it, behind it, etc. I don't watch the show you got the idea from but its cute! I'm curious to see what you do with it because I have something similar. I'm actually impressed that you didn't buy it and leave it in a closet somewhere for a year before you painted it. That's my M.O. Love it! I think it'd look cool in a gallery wall. Excited to see what you do with it! Scotty - I love the lamp idea! I don't know if a cord would fit through the instrument but I could try it and see what happens. The shadowbox idea is great too!